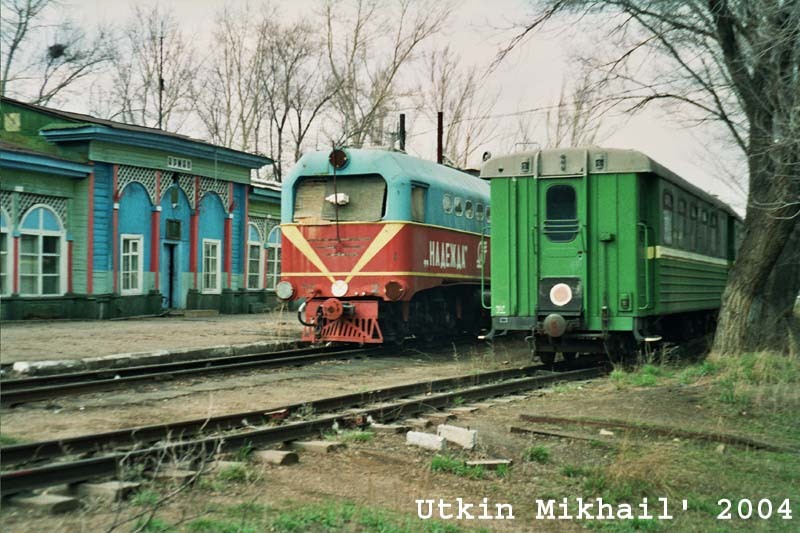 Narrow gauge (750 mm) diesel locomotive TU2-111 and passenger cars in Arman station. Children's railway in Karaganda urban park. This children's railway has length 5100 m at the present moment does not work. Karaganda city, Kazakhstan, April, 27, 2004. 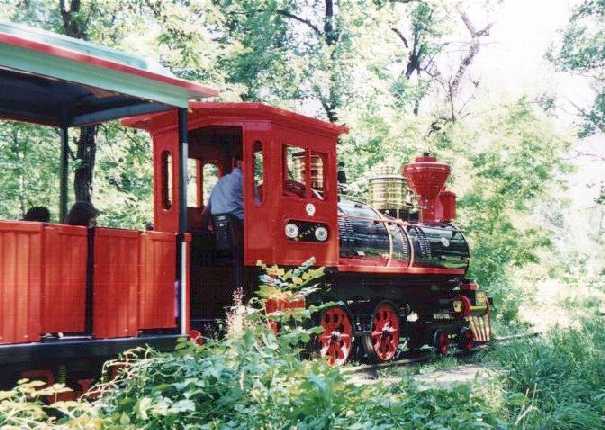 Narrow gauge (750 mm) Arman station of children's railway in Karaganda urban park. Karaganda city, Kazakhstan, April, 27, 2004. 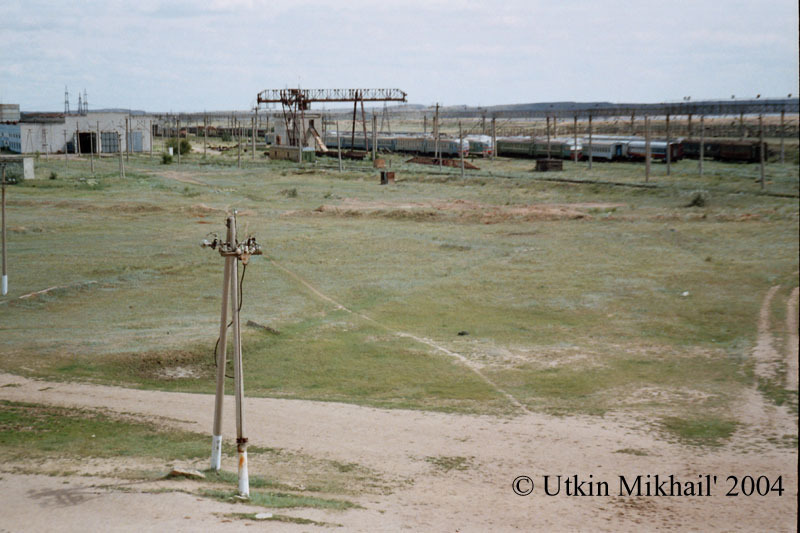 Narrow gauge (750 mm) target switch and traffic lights of Arman station of the Karaganda children's railway. Karaganda city, Kazakhstan, April, 27, 2004. Marks of a rail of narrow gauge (750 mm) Karaganda children's railway, where is written, that it is issued at Karaganda Metallurgical Combine of a name J. Stalin (Temirtau city, Karaganda area) in 1954. Karaganda urban park, Kazakhstan, April, 27, 2004. 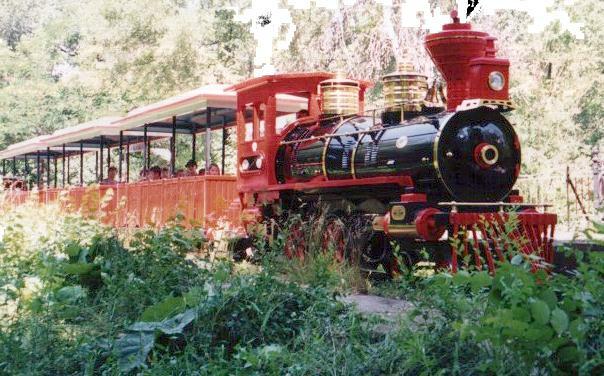 Attraction in park: train of the narrow-gauge (width of a track of 750 mm) children's railway. 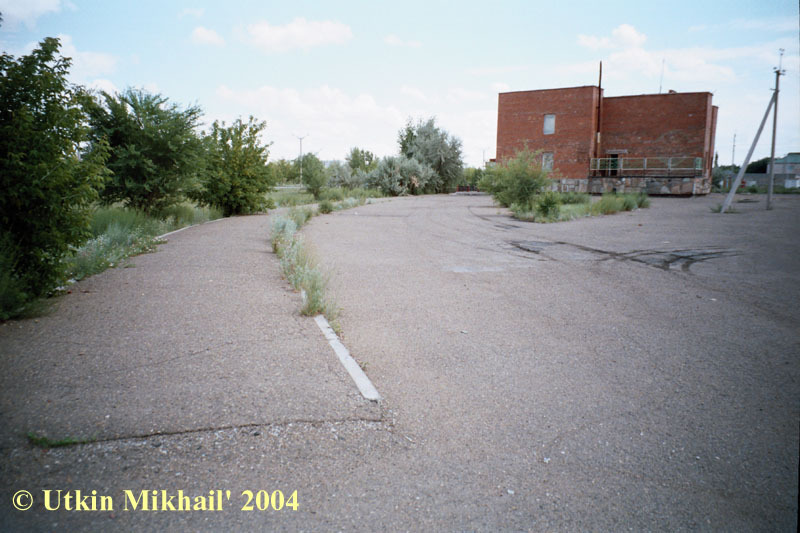 The central recreation park (in the past - park of a name in M. Gorky), Alma-Ata, Kazakhstan, June, 28, 2002. Photo and scan by Mikhail Utkin, pechnik@yandex.ru. The diesel locomotive executed as a steam locomotive (unknown to me of type and manufactures) by the narrow-gauge children's railway. 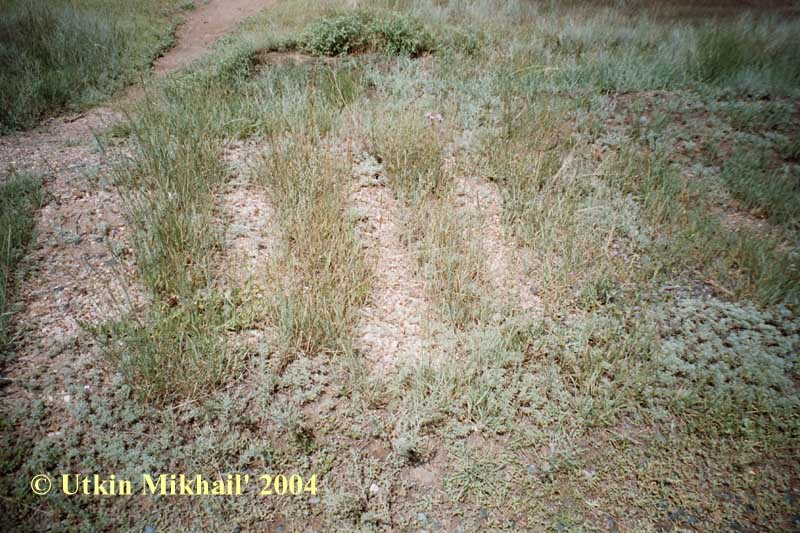 The central recreation park (in the past - park of a name in M. Gorky), Alma-Ata, Kazakhstan, June, 28, 2002. 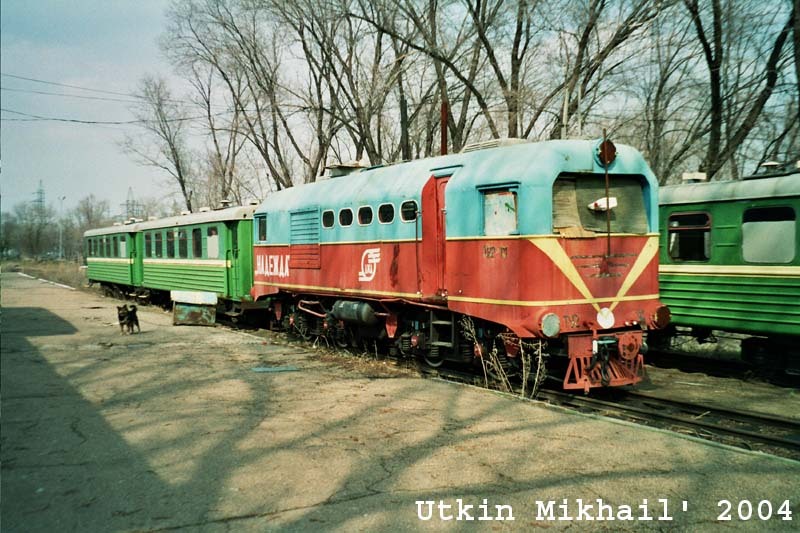 Narrow gauge (750 mm) diesel locomotive TU2-111 is named "Nadezhda" (is translated from Russian, as "hope") and passenger cars in Arman station. 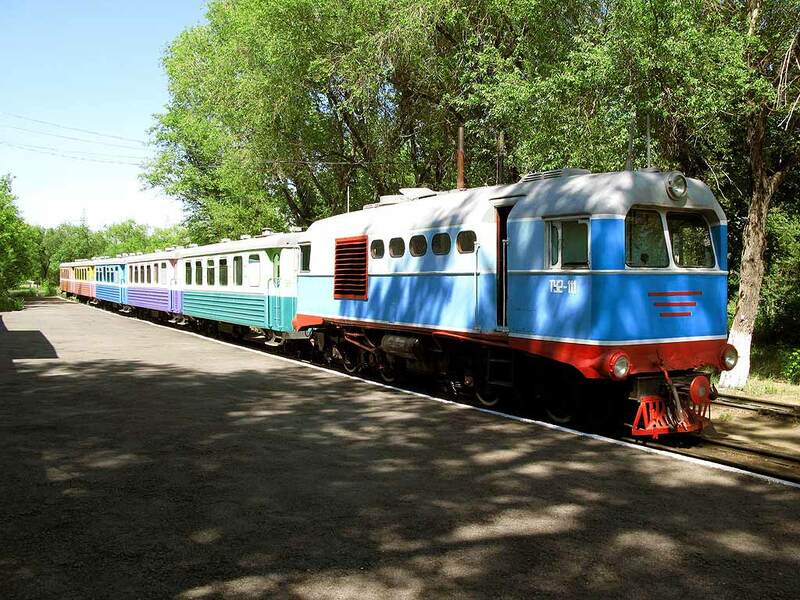 Children's railway in Karaganda urban park. Karaganda city, Kazakhstan, April, 27, 2004. 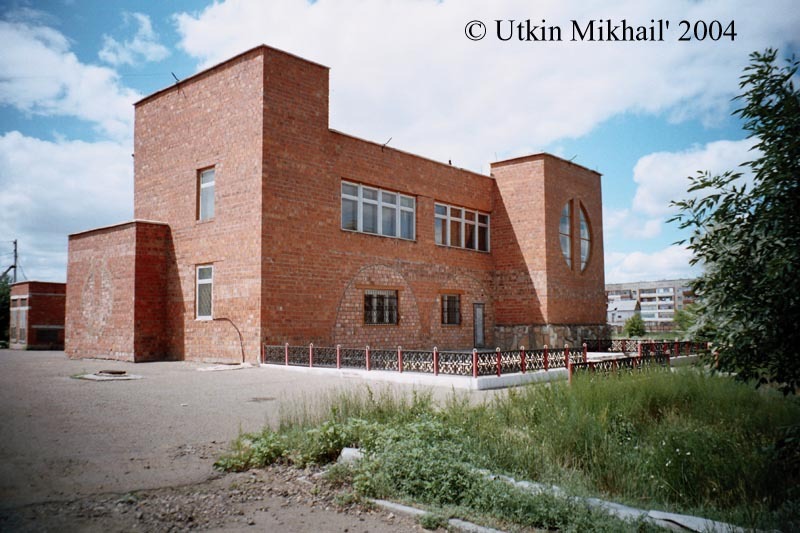 Building of former passenger terminal of narrow gauge (750 mm) children railway in Ekibastuz city. A semicircular contour of sidewalk in accuracy repeats a line of the former railway. 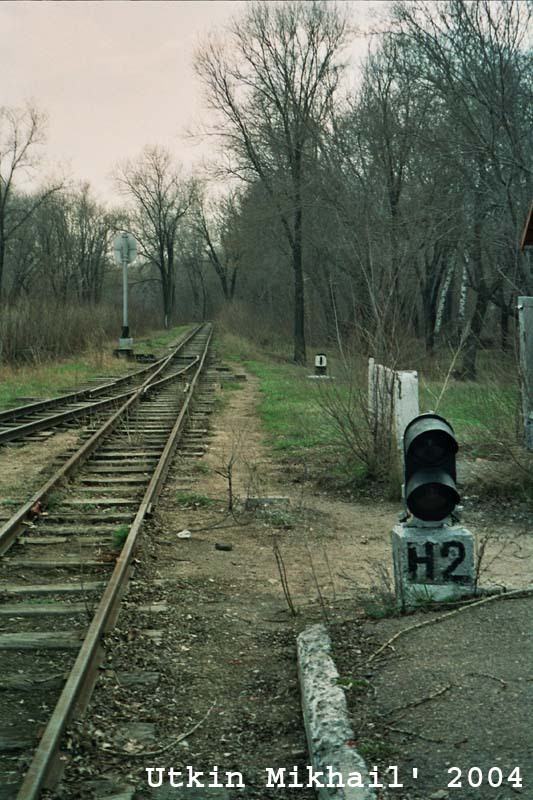 The railway have disassembled after in 2001, when the sole diesel locomotive (such as "TU-7") on this road has burned down. 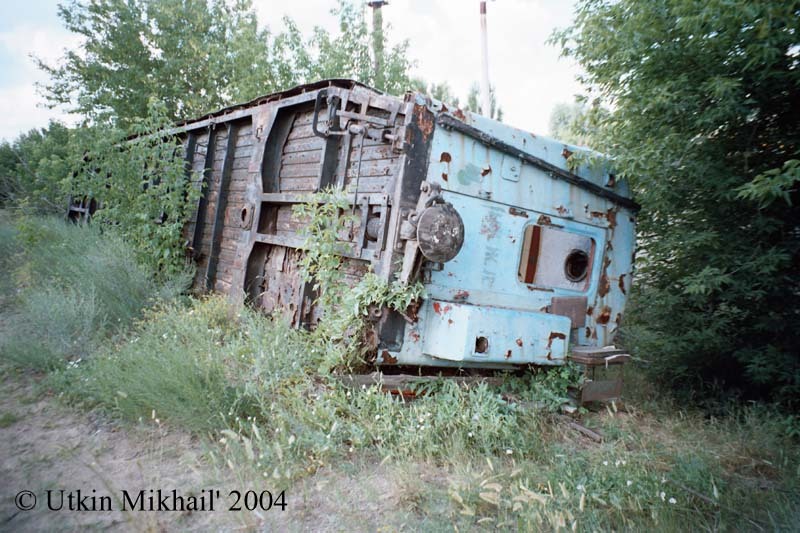 Pavlodar area, Kazakhstan, July 4 2004. Former railway embankment of a ring former narrow gauge (750 mm) children railway in Ekibastuz. Dear goes on the right on the left, turns and leaves at the left afar, turning there to station, which is seen in the distance. Pavlodar area, Kazakhstan, July 4 2004. 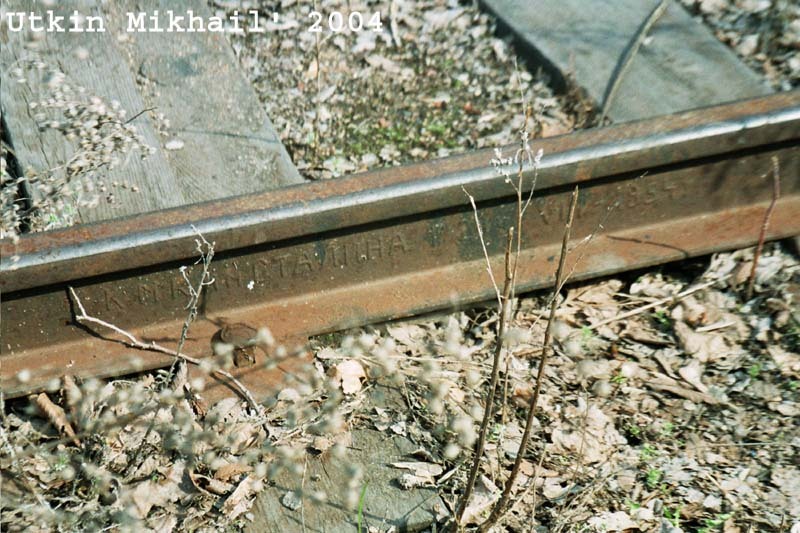 The herb on railway embankment of former narrow gauge (750 mm) children railway in Ekibastuz continues to grow "between cross ties", July 4 2004. Pavlodar area, Kazakhstan. 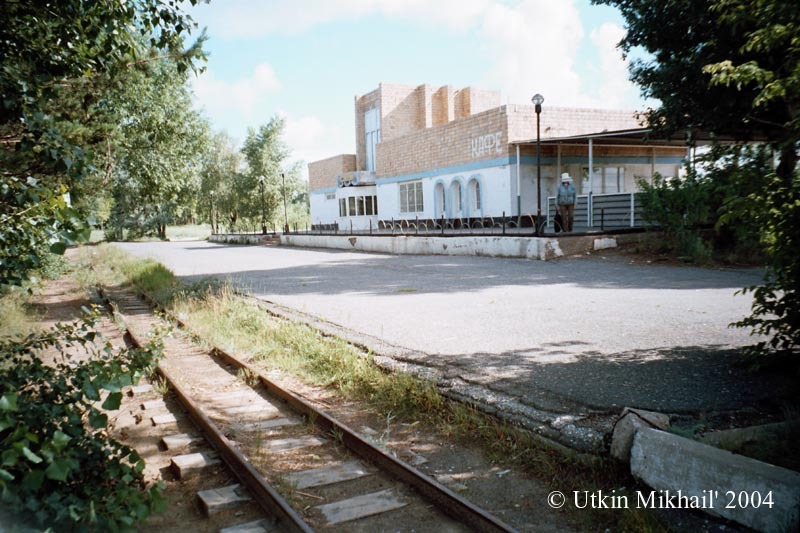 The building of former passenger teminal of former narrow gauge (750 mm) children railway in Ekibastuz - now in it is shop on sale of furniture. Pavlodar area, Kazakhstan, July 4 2004. Depot for EMU and DMU at station Ekibastuz-2. A kind from the bridge of a highway on the airport. Behind trains leaves to the left two-acceptable not electrified railway on coal careers "Bogatyr" and others. 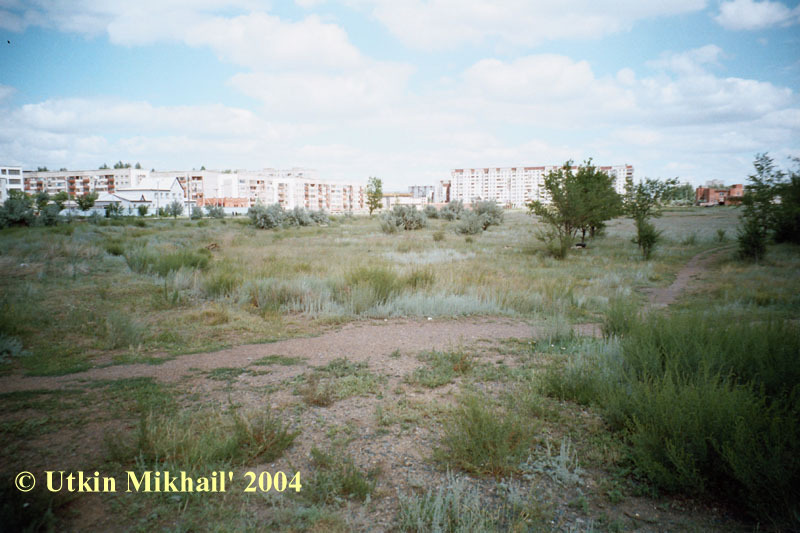 Pavlodar area, Kazakhstan, July 4 2004. 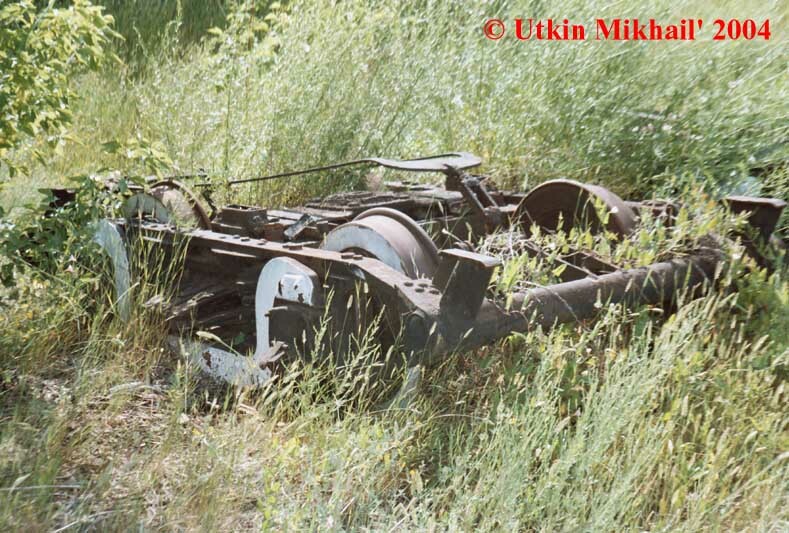 The former wheel carriage from the narrow-gauge (750 mm) passenger car of children railway of a name Kamzin in Pavlodar, Kazakhstan, July 4 2004. 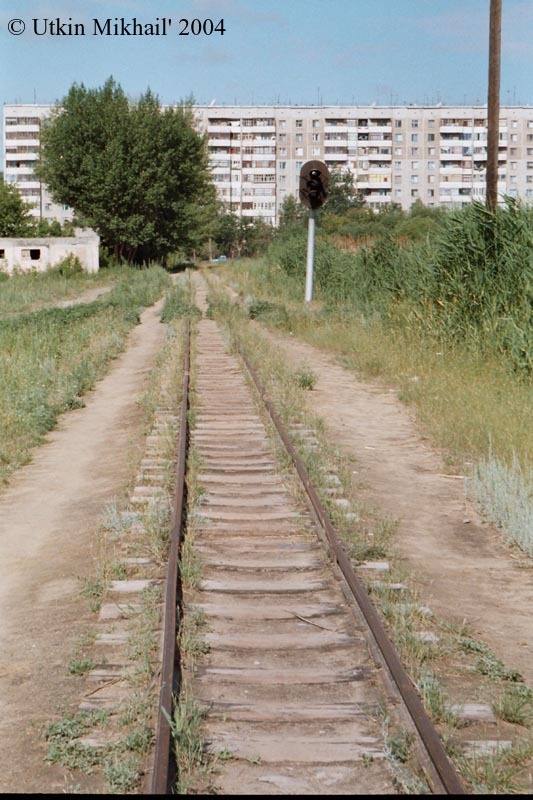 The line of children railway of a name Kamzin in Pavlodar, Kazakhstan, July 4 2004. 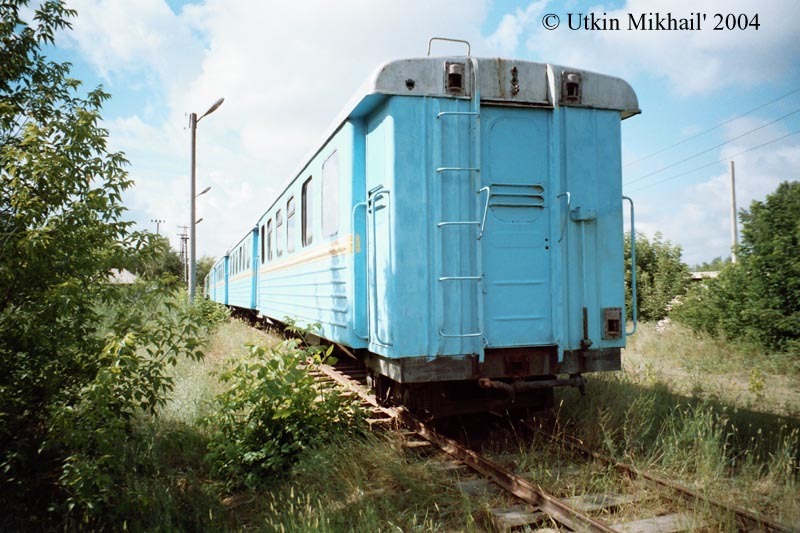 The former narrow-gauge (750 mm) passenger car of children railway of a name Kamzin in Pavlodar, Kazakhstan, July 4 2004. 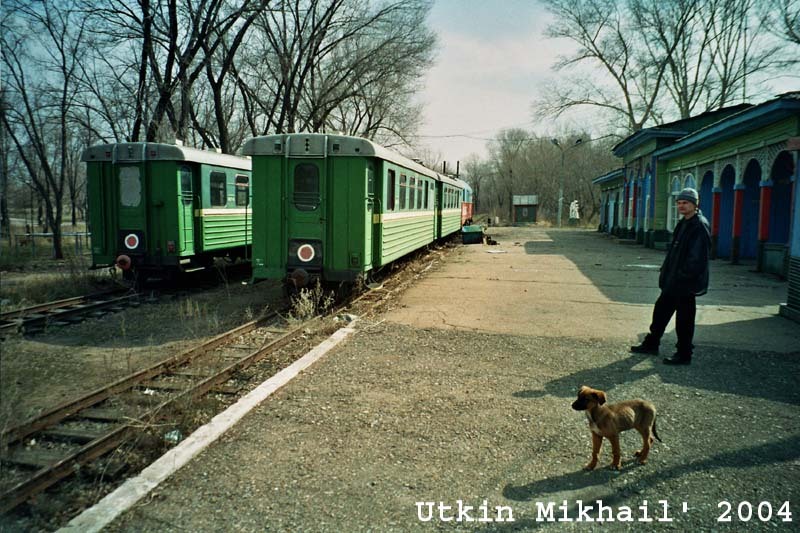 The railway terminal of children railway of a name Kamzin in Pavlodar, Kazakhstan, July 4 2004. This railway works in summer on Saturdays and Sundays from 15.00 till 20.00 of hours. 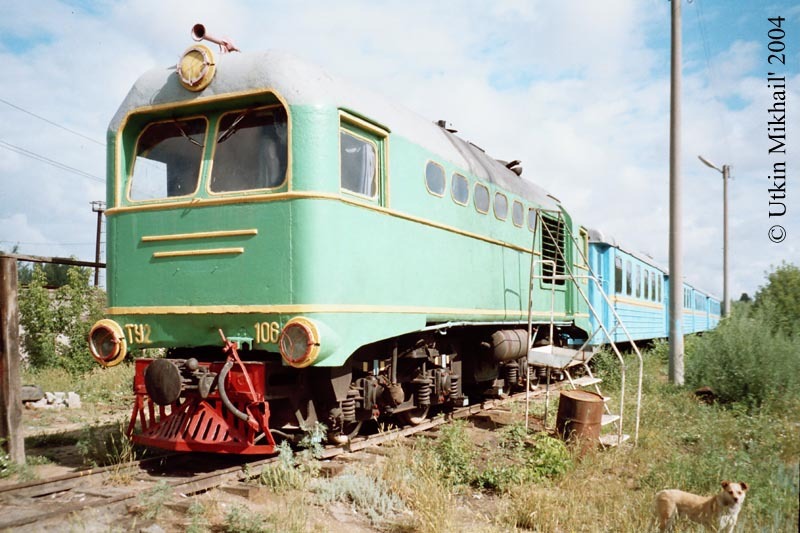 The passenger train of children railway of a name Kamzin in Pavlodar, Kazakhstan, July 4 2004. 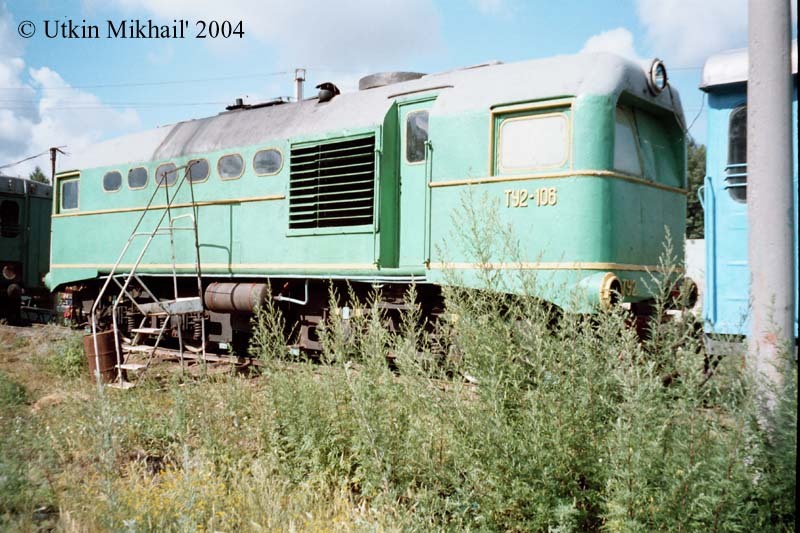 The diesel locomotive "TU-2" # 106 in narrow gauge (750 mm) children railway of a name Kamzin in Pavlodar, Kazakhstan, July 4 2004. 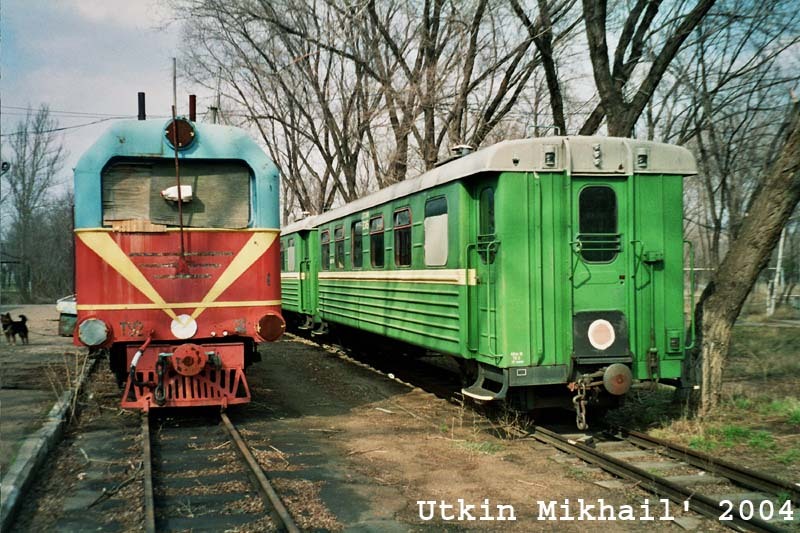 The diesel locomotive "TU-2" # 106 with passenger train in narrow gauge (750 mm) children railway of a name Kamzin in Pavlodar, Kazakhstan, July 4 2004.